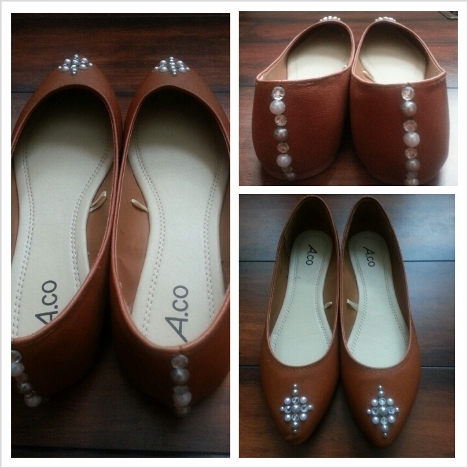 Summer is FINALLY here and you’re looking for that cute pair of flats that would dress up any outfit. But it seems like when you know exactly what you’re looking for, you can’t find it for the life of you. It’s even harder for a Diva on a Dime like myself because I have big style ideas and modest budget. I’m sure many of your share this plight. So what do you do? You do it yourself, that’s what! The best thing is ALWAYS DIY, don’t you agree? There is no limit to creativity and the best expression is through your style, so why not incorporate that in a pair of flats? This is what I decided to do, and show how easy it is. 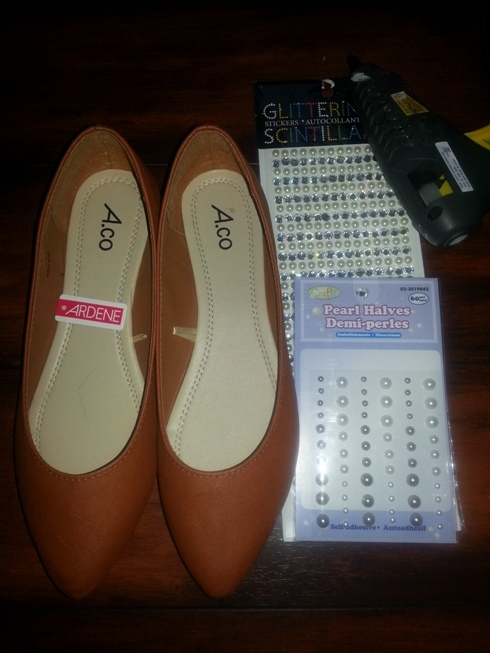 I was also inspired by the talented Glitter N Dirt’s DIY Sequin Cap Toe flats. From there, you play around with the studs to decide how you’d like to position them for your design. Since they’re self-adhesive, they don’t glue permanently and can be moved around easily. Once you’ve decided on your positioning, then you can bring in the glue gun. From that point, you can start gluing. By about the 4th stone, I’d switched to krazy glue because I envisioned the hot glue melting on a hot summer day and stones falling off! Keep your pattern going until you’re done. If you want to get fancy, you can add some to the back as well. And just like that – you have dressy flats! What has been your favourite DIY project? 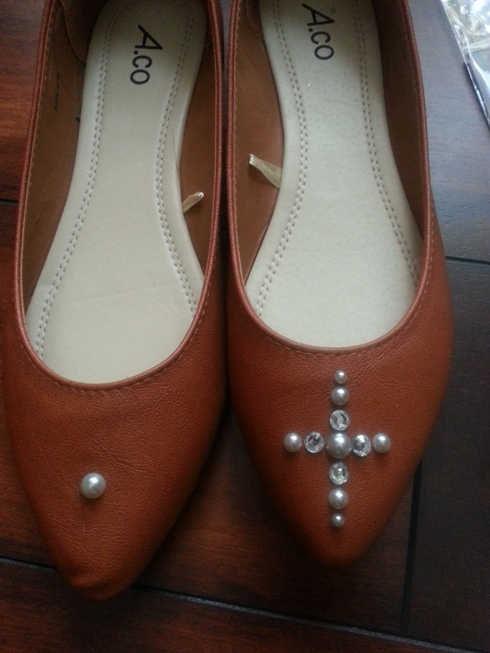 Have you bedazzled shoes? Is there anything you’d like to see us do? Leave your comments below! No problem, Richa. It’s very very easy!